The four minute piece gives a great insight into the wonderful golf awaiting the visitor with passes available from as little as £99 for five days. 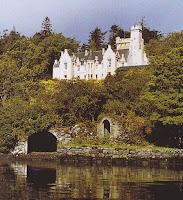 Scotland has many opportunities to stay in Castles, or hotels with Castle in their name. One of our favourites is Stonefield Castle in Argyll, it takes a bit longer to get to than many other similar properties, but we feel it's really worth it. The drive to get there is almost as good as the location once you arrive. Standing high above the Kintyre peninsula offering spectacular views over Loch Fyne. 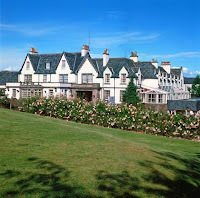 Set in 60 acres of woodland grounds and situated above the fishing village of Tarbet, this 32 bedroom hotel offers the best in true luxurious Scottish hospitality. Glide through the baronial hallways of Stonefield Castle sensing it's unrushed grandeur as you ponder it's hidden secrets waiting to be uncovered. With special offers available, including 2 nights for the price of 1 from £50 per person for B&B and only £75 per person for Dinner B&B, what are you waiting for? Kinross is in Perthshire but you couldn't really get much closed to Fife as it's right on the border of both counties, which makes it an ideal location for golfers. Especially when you have a choice of two hotels, run by the same family one of which has it's own Golf Course. The 4 star Green Hotel and it's 3 star sister The Windlestrae are ideally located in Kinross with it's excellent transport links to Glasgow, Edinburgh and Perth, a haven for golfers looking for a well managed short break. 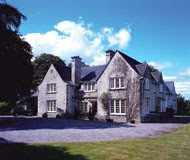 But also popular with leisure guests looking for a relaxing break. The warm friendly atmosphere in both hotels ensures that guests come back again and again. Both hotels are offering great value short breaks this springtime, including murder mystery breaks and tribute acts. To find out more about the Green Hotel click here and for the Windlestrae click here. Ian McCaig from The Edge who's online marketing comp-any produced the feature, "The Google Earth feature is great for promoting destinations and product such as First in Fife Golf and as a low cost promotional tool offers tremendous return on investment for tourism businesses. 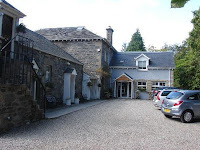 There are many examples of fine hotels near the tourist hot spot of Loch Lomond, but it's rare to get two so close to each other but that's how it is in the town of Drymen. Loch Lomond has two distinct tourist offerings, on it's Western shores you will find the world famous Cameron House Hotel, beloved of the Scottish national Football team and many other famous celebrities, it's also the side most people visit because of it's proximity to the A82, the main scenic route to the North of Scotland. However, those in the know eschew the business of the Western shores and head for the Eastern end of the Loch, so beloved of walkers forging north at the beginnig of the famous West Highland Way, and it's in the town of Drymen where you will find the Buchanan Arms Hotel and The Winnock. We're big fans of both of these hotels, both are really friendly with great food, service and warm friendly public spaces. Not to mention the great scenery of Loch Lomond. Right now, both hotels are offering great value 2 night Dinner Bed & Breakfast breaks for less than £100 per person. To find out more about The Winnock click here, and for the Buchanan Arms click here. Graham Gouldman formerly of 10CC will be performing at The Inn at Lathones as part of the Fifestock Festival on Sunday 7th and Monday the 8th of March. Here are some songs that Graham Gouldman has written or co written. The Yardbirds 'For Your Love', 'Heartful of Soul' &; 'Evil Hearted You'. The Hollies, 'Look through any window' & 'Bus Stop'. Herman's Hermits, 'No Milk Today', 'Listen People' & 'East West'. Jeff Beck's 'Tallyman' and Wayne Fontana's 'Pamela, Pamela'. Then of course we have 10cc - 'Rubber Bullets, 'Wall Street Shuffle', 'Art for Art's Sake', 'I'm Mandy Fly Me', I'm Not In Love', 'Things we do for Love', 'Good Morning Judge', 'Dreadlock Holiday and from Wax, 'Right Between the Eyes' &; 'Bridge to Your Heart'. We love the Knockomie Hotel in Forres, it's in a beautiful location, offers great food and unstuffy service with the kind of attention to detail you would expect from passionate owners Gavin & Penny Ellis. If you like whisky then Knockomie is a perfect location to base yourself in, with numerous distilleries on the world famous Malt Whisky Trail close by. It's also ideal for fishing, walking and exploring the beautiful Morayshire scenery. And if Castles are your thing then there are plenty of examples in easy driving distance, including Cawdor Castle, Brodie Castle & Castle Stewart. Each of the rooms at Knockomie are individually designed and themed. With special offers available this spring, you have no excuses not to book. To find out more aboutb Knockomie click here. Our old friends at the Inn at Lathones near St Andrews have lots of special offers if you fancy a short break in Fife, near the home of golf. Whether it's a 2 night, 3 night or even a 4 night break you're after, The Inn has a whole range of offers to choose from. Just in case you'd forgotten, The Inn at Lathones is a 400 year old coaching Inn with a reputation for great hospitality and fine food, it has held 2 AA rosettes for 14 years now and prides itself on fantastic service. With its open fires, cosy rooms and lounges it's the perfect location for a Spring break. To fin out more about The Inn click here. Offering true Highland hospitality in the most stunning of locations. The Highlander hotel in Newtonmore is the ideal base for exploring the mountains, forests, lochs and glens of Northern Scotland. After an exhilerating day, guest can enjoy a wide selection of dishes created from fresh local produce in our superb restaurant, before retiring to the bar for a dram of the finest local malt whisky. Special offers ara available this Spring, including 2 nights for the price of one, on both a B&B (from £30 per person per night) and Dinner B&B (from £50 per person per night. To find out more click here. The magnificent Culloden House Hotel just outside Inverness is the perfect location for a luxury Highlands break. This award winning hotel was requistioned by Bonnie Prince Charlie as his headquarters during the battle of Culloden in 1746. Standing in nearly 40 acres, guests are free to wander and enjoy the exceptional peace, tranquility and majesty of the grounds. The interior features and food are as wonderful as you would expect of an award winning 2 Rosette restaurant. "Voted by Conde Nast Traveller & Travel Leisure Magazine as one of the best hotels in Scotland". Enjoy a fantastic 2 nights for the price of one for only £125 per person on a B&B basis. 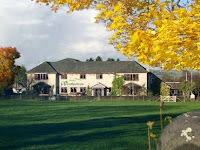 Enjoy a romantic break at the Columba House Hotel & Garden Restaurant in Kingussie. The Hotel sits in an elevated woodland location above the town with stunning views across the Cairngorms. The owners Bill & Myra pride themselves on delivering fantastic service to their guests and enjoy an enviable reputation for excellence. A range of special offers are available on a B&B and DBB basis, from as little as £65 per person per night. 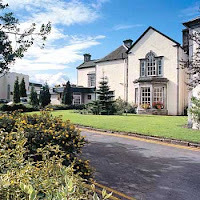 To find out more about the Columba House Hotel & Garden Restaurant click here. The World Famous Carnoustie Golf hotel sits right on the tee at the Championship Carnoustie golf course and is a mecca for golfers from all over the world. It's an ideal location for a relaxing break and includes all the facilities you would expect from a luxury hotel including a Spa and the largest hotel suites in Scotland. Special offer short breaks are available including 2 nights B&B for the price of 1 from £60 per person or 2 nights Dinner B&B from £80 per person. To find out more about the Carnoustie Golf Hotel click here. The Boat Hotel, Boat of Garten, near Aviemore, is nestled deep within the heart of The Cairngorm National Park and only a short drive to Aviemore and just over 2 hours from both Edinburgh and Glasgow. It's your time and your space. And we don't want to break the spell. That's why we pride ourselves on anticipating what your need and delivering what you want, when you want it. Unobtrusively, professionally and with a smile that's shows genuine hospitality. Special offers are available including 2 nights for the price of 1, from £99 per person, or stay for 3 nights and pay for 2 from £117 per person. Supplements apply on weekend days. To find out more about the Boat Hotel click here. The AA 4 Star rated Best Western Keavil House Hotel near Dunfermline has a leisure Spa and 73 tastefully designed, comfortable bedrooms, and intimate bar and lounge and the AA rosette awarded restaurant Cardoon. It's a perfect location for exploring the rest of Fife, including St Andrews. Stay for 2 nights (with dinner on one night) and pay for one. Prices start at £79.50 per person per night. To find out more about the Best Western Keavil House Hotel click here. For those who enjoy the tranquility of a stunning waterfront location, Achray House is perfect. Set in the peaceful village of St Fillans on the shores of Loch Earn, the hotel is the pefect base from which to enjoy walking, golfing, touring or just relaxing. 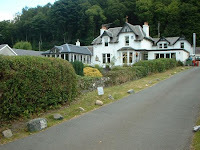 Spectacular scenery, good food and friendly service are all on hand in this small lochside hotel. Special offers, 2nights DBB for £99 per person or 3 nights DBB for £134 per person. 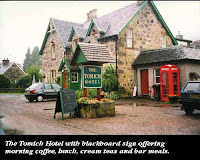 If you like the kind of short break where you can enjoy the outdoor life with some hill walking or wildlife watching during the day and curl up in the evening warming your weary legs in front of a roaring log fire, then we recommend the Tomich Hotel. About 45 minutes from Inverness by car, the area is steeped in history from this era. For example, the ‘Golden Retriever’ dog was first bred on the Guisachan estate in the 1860’s. There were also many famous visitors, George V and Queen Mary, Gladstone and Winston Churchill, who was reputed to have learned how to drive on the estate. This dog friendly hotel has short breaks for £69.50 per person per night including Dinner & Breakfast (2 night minimum stay). The Royal Highland Hotel in Inverness is offering fantastic City Breaks for only £48 per person per night. For this you will get one Dinner (to the value of £25 per perosn) one nights accommodation and a Full Scottish Breakfast the following morning. To take advantage of this offer all you need to do is quote "Scotsman" when making your reservation. There are also upgrade options available. 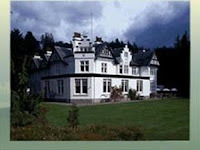 To find out more about the Royal Highland Hotel and other offers click here. The wonderful Pine Trees Hotel in Pitlochry have got some fantastic winter deals in place right now. If you are looking for a short break in Scotland and don't want to travel too far from either Glasgow or Edinburgh, this is the place. 2 night and 3 night breaks including dinner and full Scottish breakfast from only £68 per person per night. Pitlochry is the ideal stop on a trip further north, there's plenty of beautiful walks and lots of nice restaurants and shops to idle the hours away in. To find out more about Pine Trees Hotel click here. For a relaxing winter break with a difference, we would recommend the Auchrannie Luxury Lodges on the beautiful island of Arran. These lodges offer luxury accommodation for groups of up to 6 people. The lodges are part of the Auchrannie Spa & Resort so you don't have to worry about finding things to do or looking for somewhere nearby to eat. With two top hotels, restaurants and leisure clubs right on your doorstep, it's a perfect location for a winter break. Their special offer is for 3 nights in a lodge from only £250, to find out more, check out all that Auchrannie has to offer. Seems to be a week for great ideas. Just read on the BBC website about plans for a Japan Scotland day to help strengthen links between the two countries. Sakura Scotland has approached the Japanese Consulate General in Edinburgh about the event which is planned for the autumn, the company hopes to invite fashion students to come up with and then display clothing designs on a Japanese theme. 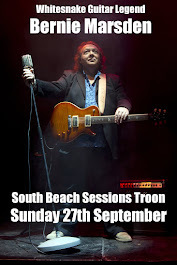 Now I'm not sure how this is going to be lead and what angle it's going to take but a couple of years ago myself and a colleague found ourselves arriving at the train station in Dusseldorf (if truth be known en route to a Kiss consert in Nijmegen!). Now with kilts on (no face paint) you may have thought that we would have been subject to some rather strange looks. Nope. It was Japan Day in Dusseldrof and the whole of the city's youth was in Manga Fancy Dress costimes and make up. Made us look entirely normal. The point however was that Dusseldorf was celebrating the culture of the largest population of Japanese in Europe and it was one helluva party. The banks of the Rhine were given over to Japanese stalls with traditional food and drinks, stages with entertainment and recitals and all in all a tremendous atmosphere of history and cultural respect with an estimated 1.2 million visitors. One of the highlights of the traditional Japan Day is a fantastic fireworks display after nightfall, conjured up in the sky over the river by Japanese pyrotechnicians. With the strong air connections between Dusseldorf and Scotland such a cross cultural celebration could actually have tremendous impact on restimulating the Japanese market for Scottish tourism and indeed exports. Good luck to Sakura Scotland - would love to help if we can. If you fancy a bit of golf in Fife how about trying out The Winter Open at Burntisland Golf House Club. It's a 4 Ball Better Ball Open and takes place on Sunday 21 March 2010 with a wonderfully affordable £5 entry per person and a 9am shotgun start. Find out a bit more about Burntisland Golf Club on First in Fife Golf's website or have a wee look at the Google earth fly through.